Alexandra Davidson is originally from Bournemouth, and took her first degree at Oxford University, where she held an instrumental scholarship. She went on to study at the Royal Academy of Music, where she won the Florence Woodbridge bassoon prize. Alex was co-principal bassoon of Southbank Sinfonia for the 2006 season, and performed the Weber concerto with them at the Deal Festival. She now freelances with orchestras around the country, including numerous Radio 3 broadcasts with the BBC National Orchestra of Wales, Royal Liverpool Philharmonic and Ulster Orchestra. 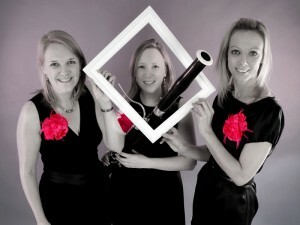 Alex is also a founder member of the bassoon quartet Reed Rage.